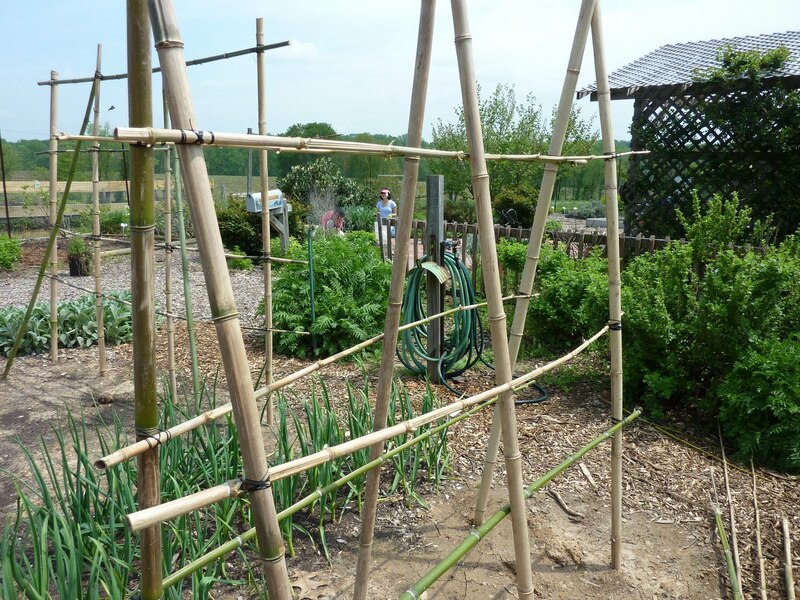 Lots of exciting developments at our demo garden this spring, but the biggest and most obvious are the new bamboo structures designed and implemented by MG Barbara Dunn. I showed you the trellises she was working on last time; those have now been completed except for the planned decorative and functional string netting. Here’s a detail of the lashing that holds the pieces together. 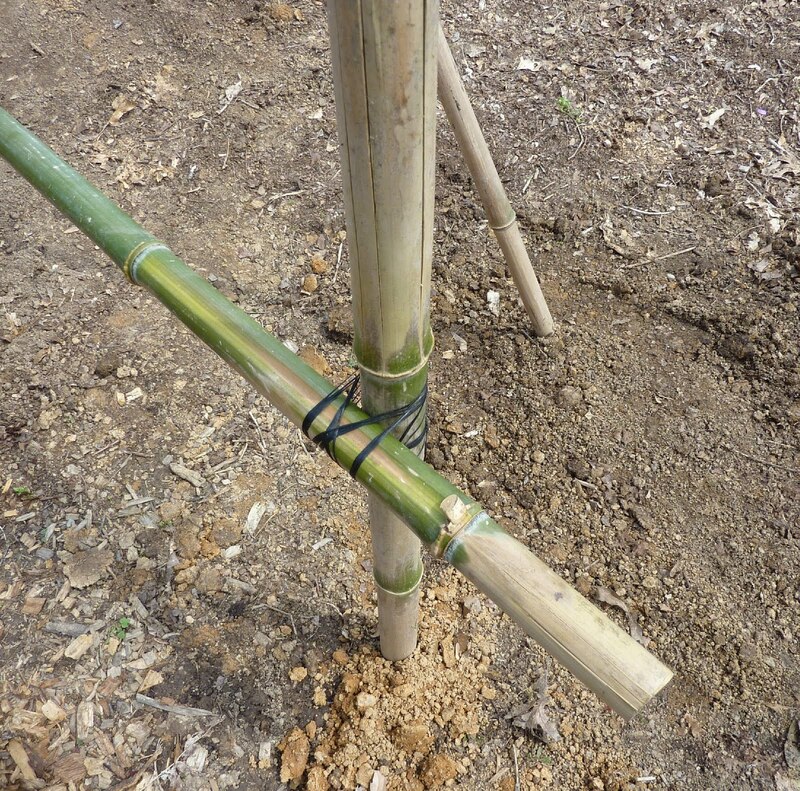 Our other big bamboo project is a cage for our new fruit bed. This is an area about 11 by 11 feet that used to hold our compost bins until we moved those operations outside the fence. Last year we built the bed up with a modified sheet composting technique, and planted squash and watermelons. This year it’s becoming our fruiting shrub bed, with blueberries, beach plums, currants, and Nanking cherries. 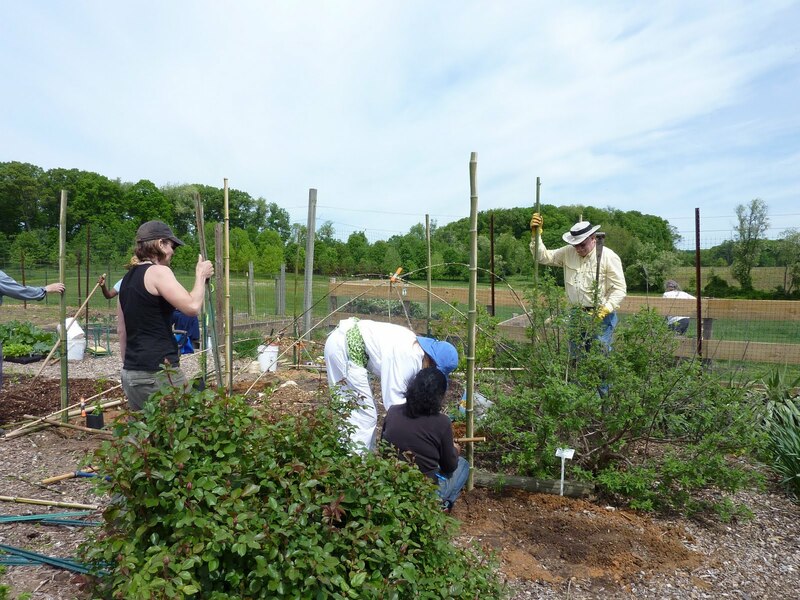 Two of the blueberries were moved over from the vegetable garden, where for years they’ve been stepped on, repeatedly transplanted, overwhelmed by vines, and generally abused – plus we never got any of the meager fruit because the birds found it first. So now it will be protected! 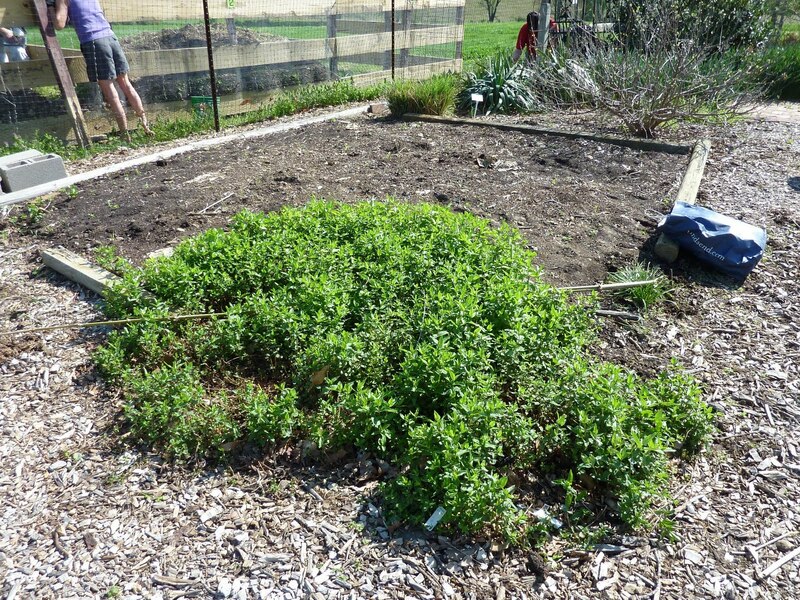 Note the large patch of mountain mint (Pycnanthemum muticum) – we babied this fragrant and handsome native plant along for years, and then it took off like the mint it is and got out of control. It’s now been relocated to other spots in the garden (in buried pots). And then the top part of the structure was lifted up and secured. 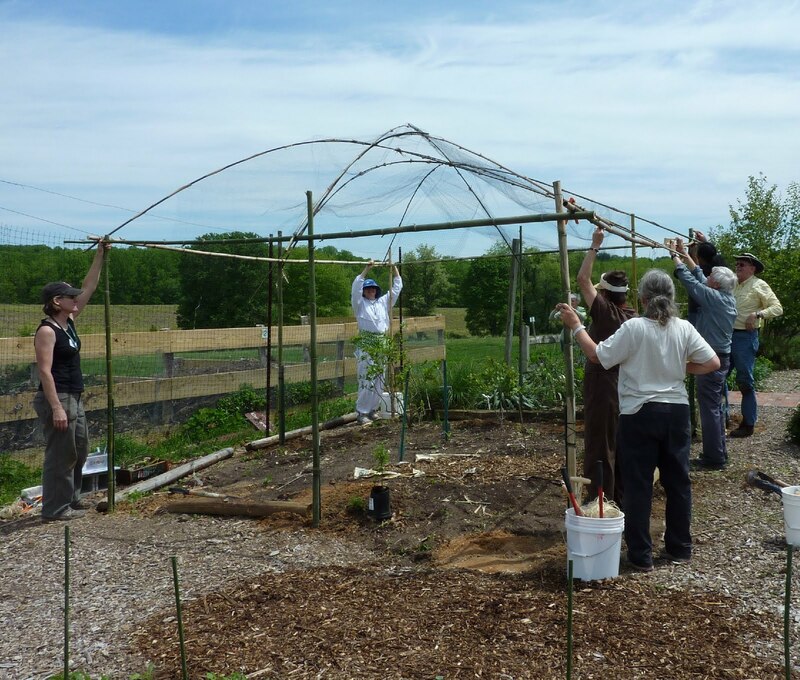 Fruit cage raising! The cage will be covered with bird netting to keep out interlopers, with a section that easily moves aside for people to enter. We still have to relocate a few of the new plants, but it is almost done (we’ll have to wait a year for much of a harvest, though). More new developments next time!